“I wanted to call them all by their names” appears on a memorial stone for the victims of the Stalinist repression in a park in St Petersburg just next to the Peter and Paul Fortress. It is a quote from “Requiem” a book of poetry by Anna Achmatowa (2). She wrote it for her son Lev who was incarcerated for 17 months during the period when Jeschow was head of the Secret Service. 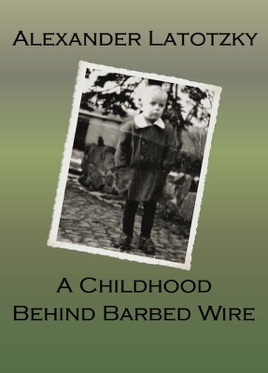 Astrid, Gabriele, Roland, Renate, Bärbel, Thomas, Jürgen, Birgitt-Elsa, Klaus, Wolfgang, Joachim, Felicitas, boy (name unknown, born in 1947 in Bautzen) – a long list of names. They could all be on a list that would never be completed and never will be. They are the names of the children, who were born between 1945 and 1950 in Soviet Special Camps in Sachsenhausen or Bautzen, in Buchenwald, Ketschendorf, Fünfeichen, Mühlberg, Torgau, Hohenschönhausen or Jamlitz, who lived with their mothers in such misery and sometimes, like so many inmates, died. More than 150,000 people, of whom about 123,000 were German, were incarcerated in these Camps in Germany between 1945 and 1950. Exactly how many young people and children were kept is difficult to establish today. According to Russian law, 12 year olds have criminal responsibility, which explains why they are not entered in the books separately. Children who were born in such camps are given no mention at all. On their release, mothers had to insist that their sons or daughters be included on any discharge certification just so that there was proof they existed at all. The grounds for the mothers’ detention varied and were mostly absurd. They ranged from an accusation of “Distribution of Supposed Anti-Soviet Slander” to “Tendency to High Treason”. Only a few cases cited “Concentration Camp Guard” or “Gestapo Employee”. Even if one or two of the accusations were true, they did not apply to the children. Nevertheless they remained prisoners. Relatives were not allowed to fetch them from the camps. When the Special Camps were closed in 1950 the suffering of the almost 14,000 prisoners did not end. The “internees”, who had been held without ever going to trial and formed the so-called “special quota”, were mostly released. 3,400 people were handed over to East Germany for final judgement. 10,500 inmates, who had gone before the Soviet Military Tribunal (SMT) were handed over to the East German Ministry of the Interior as “convicted criminals”. Almost all of the women went to the Hoheneck prison at Stolberg in the Erzgebirge region and with them more than 30 babies from Sachsenhausen and Buchenwald. 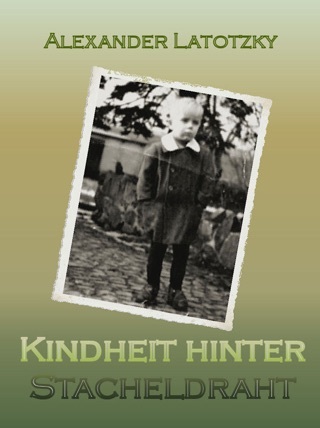 In Hoheneck the children were taken away from their mothers by the East German officials. Most of them were sent to children’s homes and only saw their mothers again years later. This book tells the stories of the mothers, the “camp children” and all those who helped save their lives. It contains a selection of personal stories portrayed by the mothers in question and their children. It was not easy to find them and it was even harder to motivate them to talk about this time so very long ago. Some could not talk about it for fear of damaging their health; others simply did not want to talk about it. One girl, who had been born in one of the camps, wrote “I was born in Torgau and was always with my mother or grandmother even in the Sachsenhausen camp. I wasn’t in a home but have nevertheless always battled with a depression that gets even deeper and more intense the older I get. I was rather backward in my speaking and everything and had to catch my older sister and brother (who had lived with relatives for the 5 years) up. Reading a book about this time is bad enough but to see everything again ...”. And her letter ended with the sentence “I am curious, but also afraid”.